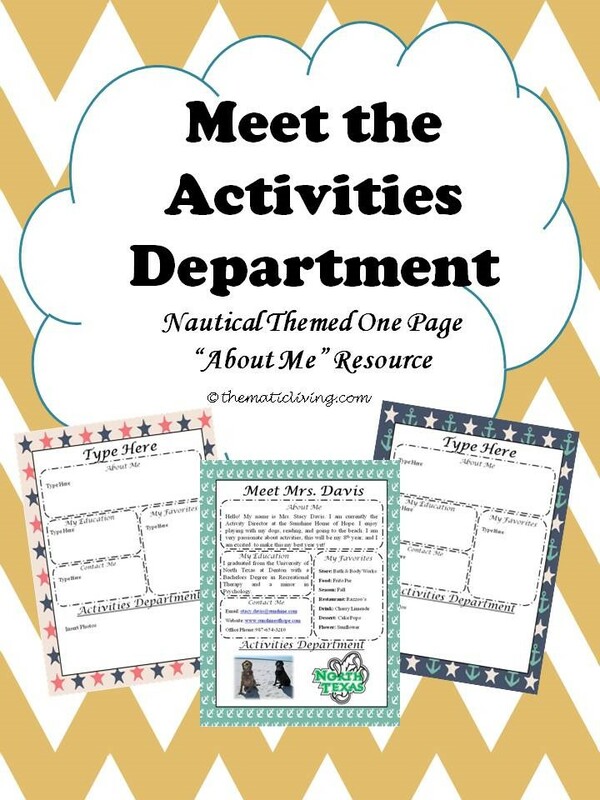 his page can be filled out and used to present during open house, Activity Professionals Week, or displayed in an area so that everyone can be aware of who you are as a person. Included is a sample page to get an idea of how to get started. All templates are Nautical themed.